How to Install Android Oreo on Redmi Note 3 – AOSP ROM. Android Oreo is launched with some awesome features like notification dots, Picture in Picture Mode, notification channels and much more. Everyone is waiting to get Oreo update on their smartphone, but unfortunately few devices are gonna get. MI developers still planning to give MIUI 9 nougat update to popular Redmi note 3. But you can Install Android Oreo on Redmi Note 3, all you need to do is flash unofficial Android Oreo AOSP ROM. The unofficial build of Android Oreo ROM is developed by XDA senior developer jhenrique09. Still, at the time of writing article ROM have few bugs, but if you’re reading this article after few months then you’ll not find any. If you’re using Android Nougat ROM then you can wait for the official build because it will come without bugs. But still, If you’re using MIUI ROM then you don’t need to wait for MIUI 9 update just follow this Guide. Warning: All steps are written in this article are personally tested by me. Follow carefully and you’ll get Android Oreo on Redmi Note 3. I am not responsible for bricked devices, dead SD cards. 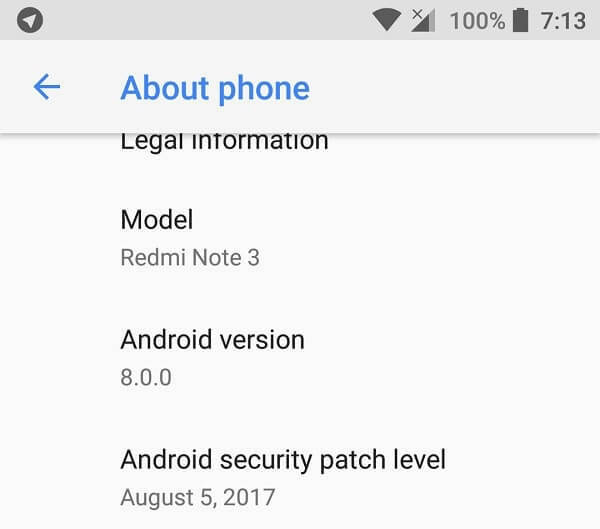 0.1 Prerequisites to Install Android Oreo ROM on Redmi Note 3 / Pro. 0.4 Install TWRP custom Recovery. 1 Install Android Oreo on Redmi Note 3. Prerequisites to Install Android Oreo ROM on Redmi Note 3 / Pro. Computer with ADB Drive Installed. PS – Due to Copyright issue Unable to share the link, Search XDA forum for Android Oreo ROM for Redmi Note 3. Whats working in this ROM.? Wifi, RIL, Mobile data, GPS, Camera, Flashlight, Camcorder, Bluetooth (buggy sometimes), FM radio (buggy sometimes), FPC Fingerprint, Lights, Sound/vibration, IR Blaster. Hotspot, USB tether, VoLTE, Goodix fingerprint not working, Unable to connect to hidden Wifi networks. To Install Android Oreo on Redmi Note 3 you need to flash TWRP recovery. And to boot into TWRP recovery you need to unlock the bootloader. If you’re already using any Custom ROM or MIUI Beta ROM then skip this step because your bootloader is already unlocked. 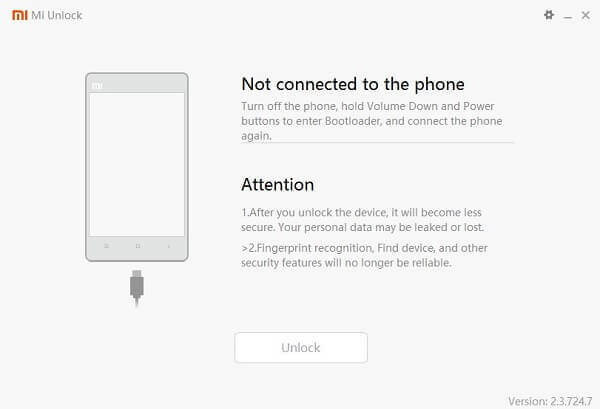 Xiaomi doesn’t allow the user to unlock bootloader directly, So if you want to unlock you need to apply for permission. It takes maximum 5-7 days to get approval from Xiaomi. If you want to get ASAP then post in MIUI forum and they will give you permission within 1-2 day. Install MI Unlock tool and Unlock Bootloader. 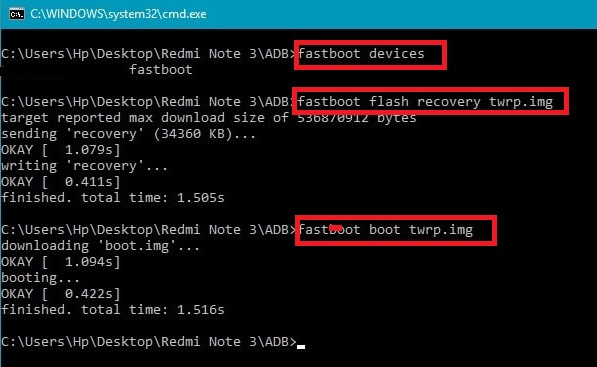 Step: 2 Boot your device into Fastboot mode – Switch of your device and Press Volume down + Power key to boot. 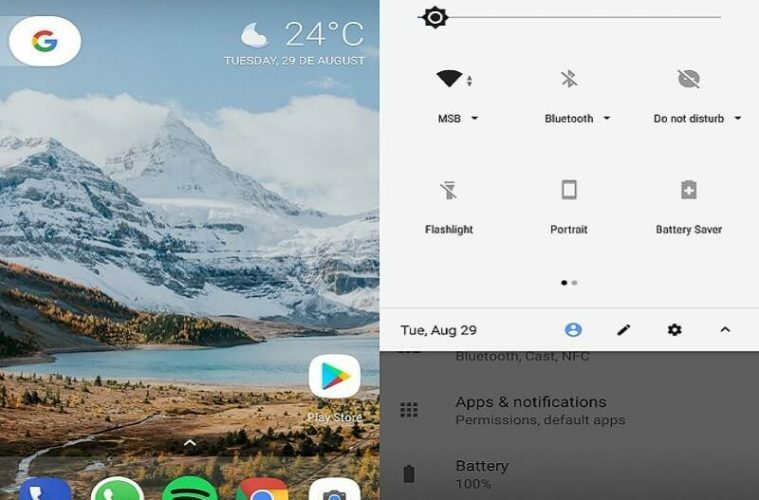 Now connect your device to computer using USB cable and then click on unlock button. After completion of unlocking process, you’ll get the option to reboot device choose it. If you don’t reboot and move directly to Install TWRP recovery process then your device will be stuck in boot loop. Custom Recovery will replace your stock recovery and will help you in Install Android Oreo on Redmi Note 3. Step: 1 Again Boot your device into Fastboot mode by pressing same key Volume down + Power Key. And connect your device using USB cable, Don’t forget to Install ADB Drive otherwise you”ll face connecting issues. 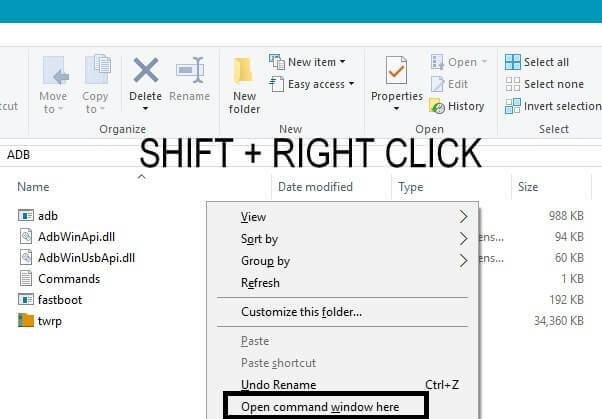 Step: 2 Open extracted folder and Press Shift + Right Click using Mouse and then choose “Open Command Prompt window from here”. Step : 3 Command prompt Window will open type the three following command one by one and Press Enter. Install Android Oreo on Redmi Note 3. Step: 2 Go to Wipe and then clean cache, system, and Dalvik cache, alternatively, you can factory reset. After that go back to the reboot option and turn off the device. Now press volume up + power button to enter into TWRP Recovery again. Step : 3 Go to Install Option select ROM File and Swipe to confirm flash. Don’t flash any firmware or Gapps File. After completion of flashing process select reboot device option or alternatively you can boot into the system using reboot option. Done you have successfully Installed Android Oreo ROM on Redmi Note 3. If anytime you feel go back to MIUI then use a backup that you created. Or if not created then download fastboot ROM and Flash using Mi Flash tool. If you’re facing any issue while flashing this ROM feel free to comment. This is the method or Guide to Getting Android Oreo on RN3 device. If you want to experience Android Oreo without installing then try Best Android Oreo Launcher. Currently, this ROM has many bugs and it’s based on viper OS. If you don’t like viper OS then don’t Install and wait for Lineage OS 15.0 build for Redmi Note 3. If this is the first ROM that you’re trying then I suggest you flash Best Custom ROM “Resurrection Remix“. Which is much better ROM than any other and based on Android Nougat. You can use Android Oreo Mod to convert your AOSP nougat ROM into Oreo ROM. Read Also: How to Install MIUI 9 Beta ROM on Xiaomi Devices. 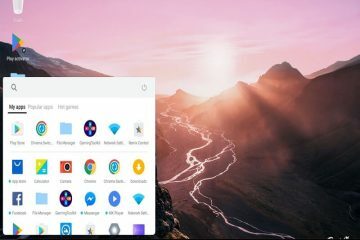 Previous ArticleBest Google Now Launcher Alternatives that you should try. 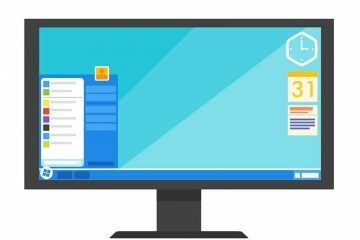 Next ArticleHow to Run Windows Programs on Android – Windows Emulator. 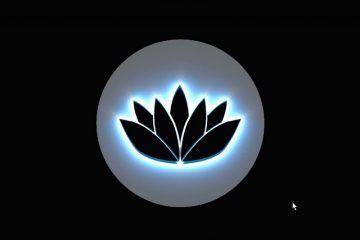 How to Dual Boot remix OS on Hard Drive and USB Drive. How to fix Windows 10 Slow Internet Problem – 11 Solutions. 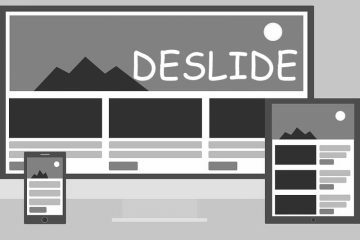 Deslide – Best tool to Remove Slideshow from Website. 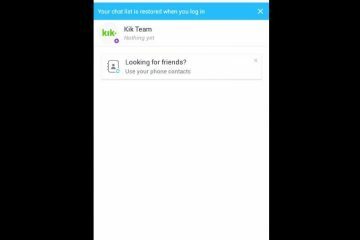 How to get Kik for Windows and Mac OS – Complete Guide.